Back in March of 2016, during Gooding & Co.’s Amelia Island auction, famed comedian and car collector Jerry Seinfeld sold off a not-insignificant portion of his Porsche collection, in the process netting millions of dollars. 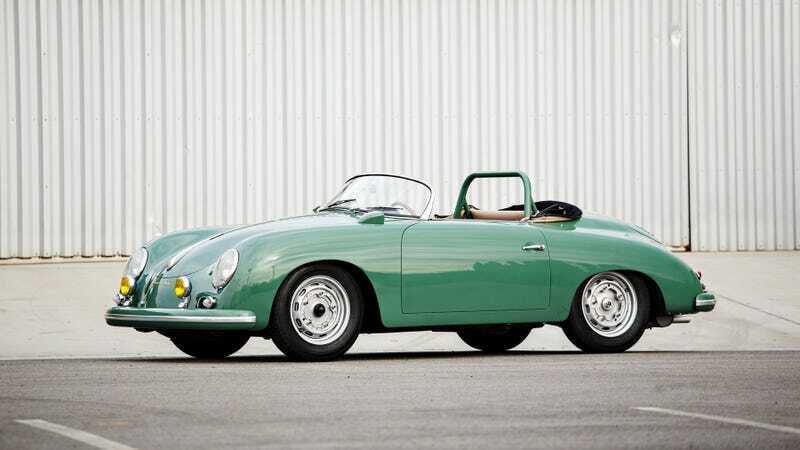 Of the 16 cars he sold during that auction, the above 1958 Porsche 356 Speedster was one. The car was represented and sold—with a hammer price of $1,540,000—as one of fewer than 60 aluminum-body four-cam Speedster GS/GT models ever built. The lawsuit alleges that this car is an elaborate hoax. 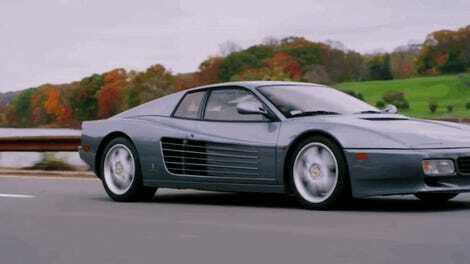 The buyer, FICA FRIO Ltd. claims the car isn’t the GS/GT that it was promised in the auction, and that Seinfeld himself intentionally misrepresented the car’s authenticity. The buyer further claims that they had the car inspected by an historic Porsche dealer, who expressed concern about the car before launching an investigation which allegedly brought something to the surface backing their claims. The goal of the suit is to rescind the sale, returning the car to Seinfeld and money to buyer, further requesting punitive damages. My background is in the Porsche restoration industry, having spent ten years working with companies in this sphere as a parts supplier in a past career. Determining authenticity in rare cars that were likely used as racing cars in the 1950s is often more difficult than it seems. European Collectibles in Orange County is said by the Gooding & Co. listing to have completed an “award-winning restoration” on the car. Being one of the most reputable shops in the Porsche restoration business, I find if difficult to believe a faked GS/GT would pass through their hands without incident. Furthermore, the car came with a copy of the Porsche certificate of authenticity, a copy of the original Kardex build-card for the car, and more documentation. Seinfeld himself doesn’t know the full history of the car, as the person who sold the car to Jerry purchased through a broker. According to the tome dedicated to the subject of Porsche Carrera 4-cam engines, Carrera by Rolf Sprenger and Steve Heinrichs, the engine was originally delivered in chassis 84912 before being transferred to the auctioned car, chassis 84908. Things like this happened all the time in racing, as it’s possible the original chassis was destroyed and the racer simply purchased another one and kept racing with their known quantity engine. This is a complex story, and one that likely won’t shake out any time soon. Short of the car becoming sentient and telling its own lost history, we may not ever know the real truth.